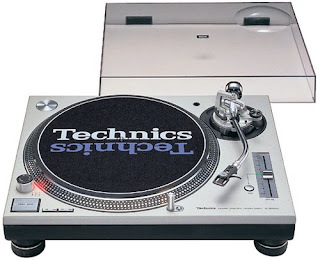 The Technics SL-1200M3D Quartz Synthesizer Direct Drive Turntable has an integral rotor-platter direct-drive motor and unwavering quartz accuracy (wow & flutter 0.01% WRMS, rumble -78dB) with very high torque for quick start-ups. Total quartz locked continuous pitch adjustment up to +-8%. It is equipped with reset button and disc slip mat. Its precision molded aluminum diecast cabinet and heavy rubber base material help absorb unwanted vibrations. Plus it has a highly sensitive low-mass tonearm with gimbal suspension, helicoid tonearm height adjustment and pop-up stylus illumination.